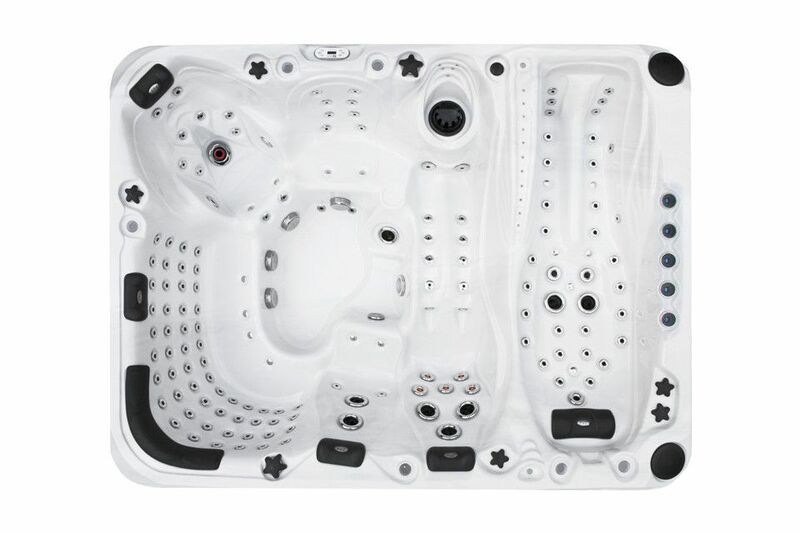 The most deluxe of all our Exclusive Collection, The Ecstatic is a seven person ultra deluxe therapeutic oasis that incorporates all of the standard features in the Exclusive Collection, and more. In addition to five bench seats of varying depths and a spacious lounge, the Ecstatic incorporates our exclusive Levitation Bed, the most innovative spa feature available that allows you to lay face up, or face down for the most relaxing spa massage you can imagine. 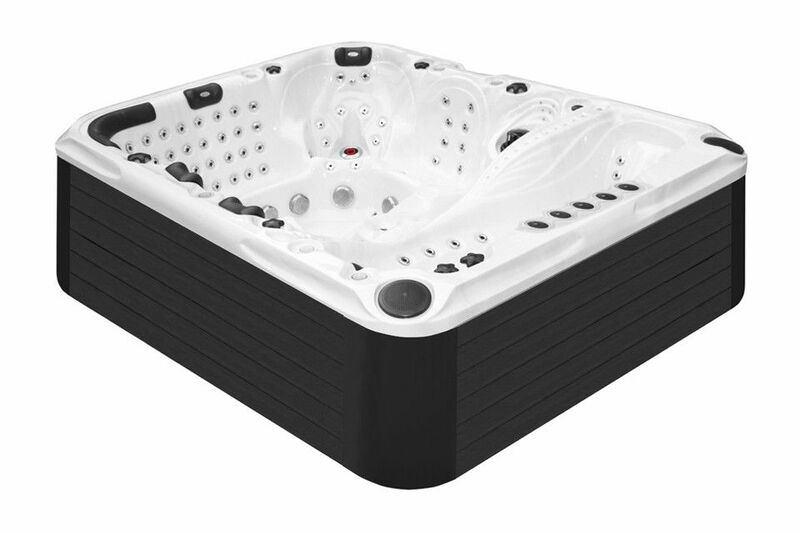 The shallow Levitation Bed has multi level leg supports as well as a wide upper body cavity that allows you to find the position most comfortable for you to receive a full body massage. One entire side of your body is completely enveloped in a soothing massage that can be adjusted for intensity and effect. 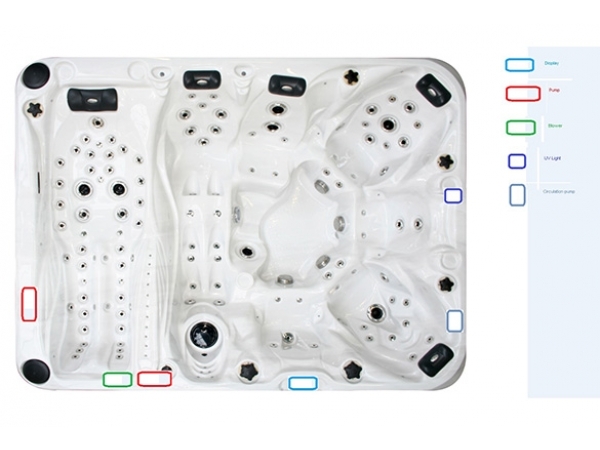 The innovative Ecstatic incorporates multiple pumps, audio system, Aqua Rolling Massage, aromatherapy, UV and ozone sanitation, and as well as over 100 therapeutic massage jets. 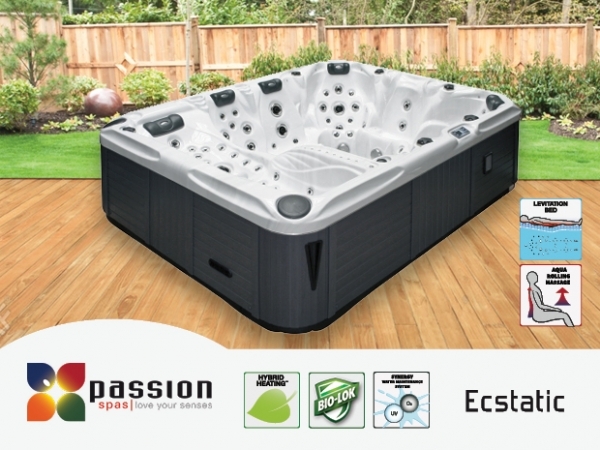 No other spa in the Passion Spa Collection or in the entire marketplace offers so many exciting and relaxing features as does the Ecstatic Spa, only from Passion Spas.